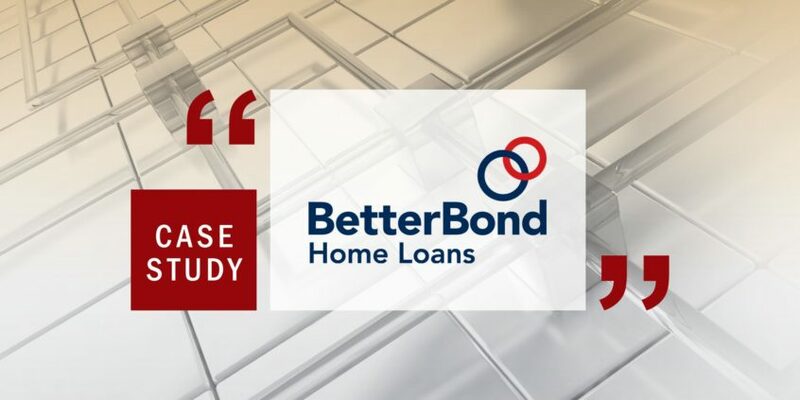 Having gained market share very quickly when it first launched, BetterBond, South Africa’s biggest bond originator, has grown to be the market leader in the home loan arena. Having gained market share very quickly when it first launched, BetterBond, South Africa’s biggest bond originator, has grown to be the market leader in the home loan arena. However, this rapid growth also led to a scenario where the organisation’s information technologies and applications were struggling to keep pace. When BetterBond found itself in need of a partner to help it improve the performance and scalability of its database technologies, it turned to Ascent Technology. As a trusted advisor with a deep understanding of complex database environments, Ascent was able to bring both skilled personnel and a strong technical focus to the table. This was ideally suited to BetterBond’s requirements. “BetterBond’s core transactional system is called Dealmaker, which is one of our organisation’s key competitive edges in this market and one of the reasons we are number one. However, our rapid growth meant that we reached a point where we needed to completely re-architect this custom software,” says Johan de Bruyn, BetterBond’s chief operating officer. He says that the success of this newly re-architected Dealmaker application was vital, in order to ensure that BetterBond could continue to deliver the highest quality services to its customer base. De Bruyn points out that a crucial part of the project was the consolidation and upgrading of the company’s database environment. This involved the consolidation and upgrading of several Microsoft SQL Server instances to Microsoft SQL 2008. This was achieved by combining the skills and resources of the internal resources with Ascent’s expertise. “In addition, Ascent also used Microsoft Reporting Services to develop reports that are used to manage and monitor the health and growth of the SQL server environment. BetterBond also utilises this technology to obtain the benefits of regular and comprehensive business reports,” he states. De Bruyn says that Ascent was able to effectively take a snapshot of where the organisation was, and – utilising this – help it to address the challenges created by its fast growth, while also enabling a seamless migration to the upgraded Microsoft technology environment. “In addition, this trusted partner role has extended to include recommending additional value added service providers. In those instances where BetterBond’s needs have fallen outside Ascent’s ambit, the company has proposed other Microsoft partners who can fulfil these requirements,” he says. According to de Bruyn, it was important from the outset to find a partner like Ascent, with the credibility and skills to meet BetterBond’s requirements. He states that the relationship between the two organisations is now well established, and it has grown into a trusted and fulfilling partnership. “The current service level agreements Ascent has provided, coupled with the strategic roadmap for the future it has developed for us, means that when the time comes to renew our contracts, we definitely envisage a continuation of this long and fruitful relationship,” he concludes.